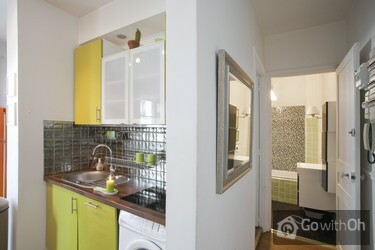 This apartment is no longer available for new bookings. 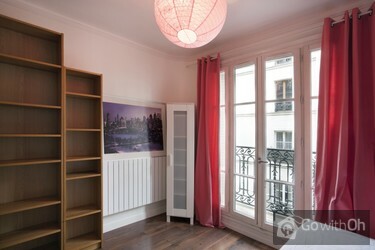 This comfortable apartment is ideally located just 5 minutes walk from Sacré Coeur and features an elegant and contemporary style. 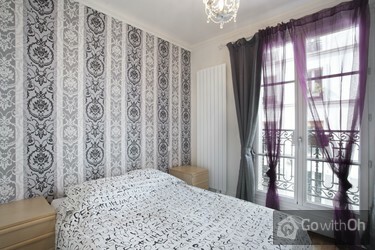 Completely refurbished in 2013, the apartment is situated on the third floor of a beautiful Haussmann style building with a lift. 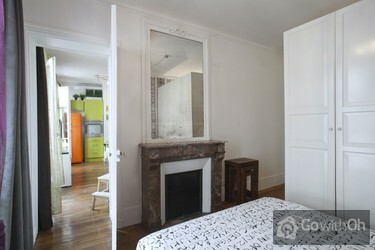 The spacious 70m2 apartment can accommodate up to 6 people and consists of a living room featuring a double sofa-bed and two independent bedrooms, each featuring a double bed. 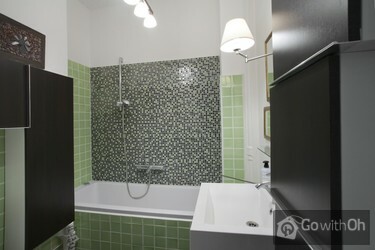 The lovely bathroom features mosaics and is equipped with a bathtub where you can relax and unwind. You will also have a full range of technology at your disposal, including a Wi-Fi internet connection and a large flat-screen television with cable channels. Getting around will be quick and easy, with the Abbesses and Anvers metro stations (lines 2 and 12) located close by, providing access to almost any part of the city. In the surrounding area you will have no problems finding a range of shops, cafes, bars and restaurants where you can have a typical Parisian experience. 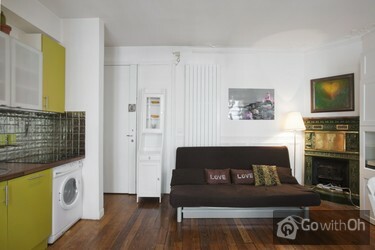 You will also be able to enjoy the famous Paris nightlife with the Pigalle district located close by. Check-in between 14:00 and 22:00. Late check-in after 22:00 available for a supplement of 30. Check-out between 07:00 and 11:00. Early check-out before 07:00 available for a supplement of 30. 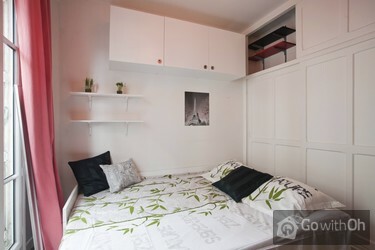 Cot available on request for a charge of 30 per stay (please confirm availability with the owner before arrival). 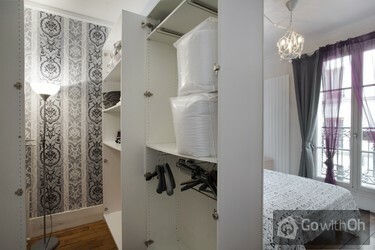 Une situation exceptionnelle, un appartement convivial et fonctionnel et une personne accueillante. Nous avons passé un très bon séjour correspondant en tous points à ce que nous attendions. La persona di riferimento è stata puntuale per la consegna delle chiavi è molto professionale. Lalloggio situato in una zona molto bella e ben servita . Le condizioni dellalloggio sono ottime proprio come presentato sul sito. El apartamento es muy cómodo, con algunos detalles que podrían mejorarse. 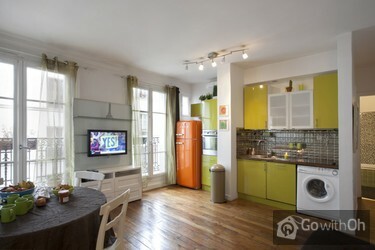 La ubicación es excelente en uno de los barrios más lindos de París. La persona de contacto fue muy amable y servicial. Estuve con mi esposa y mis hijos pequeños y disfrutamos mucho nuestra estancia en París. Die Wohnung ist durch den Straßenlärm sehr laut. Handtücher und die Bettwäsche waren nass. Im TV kein einziger deutscher Sender. Der Kontaktmann Vincent hat sich aber sehr bemüht. 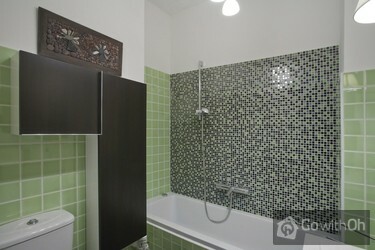 Excellent location with access to several convient shops. 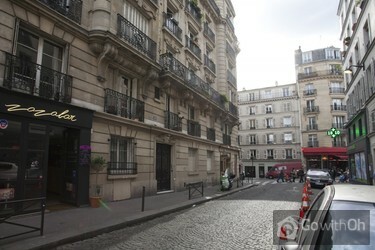 Its in a major tourist area being near Sacre Courr. The 2 bdrooms are of good size. 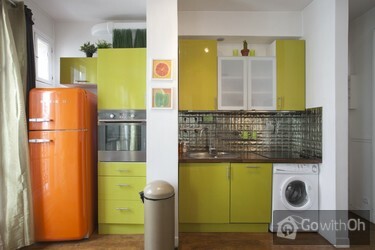 We were happy with the kitchen facility. 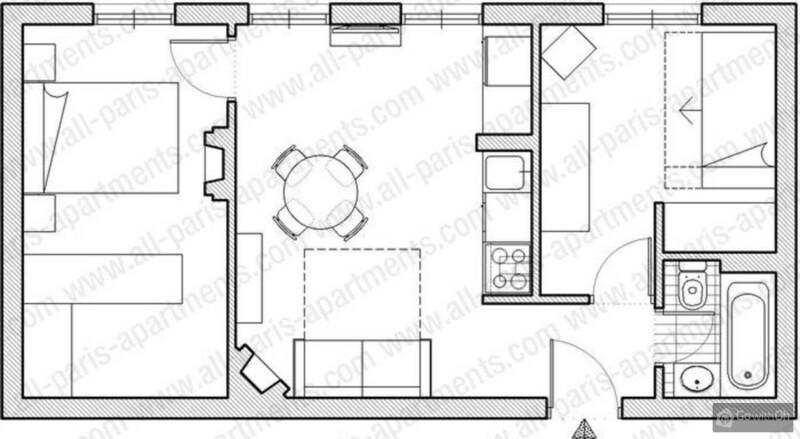 Ample space for six people. Der Blick vom Frühstückstisch auf eine typische Montmartre-Kreuzung ist einfach genial. Ganz wie bei Amélie Poulain. Tutto bene tranne gli bicchieri, piatti, la tovaglia... che sarebbero da cambiare. This was our second stay at the apartment. The first in Summer and now before Xmas. Very spacious and cosy. The Metro is only a stone throw. 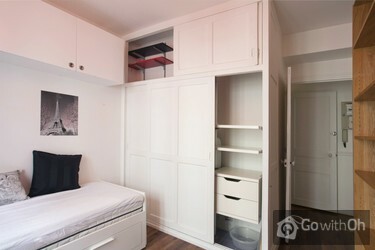 Easy access to restaurants, supermarkets etc. 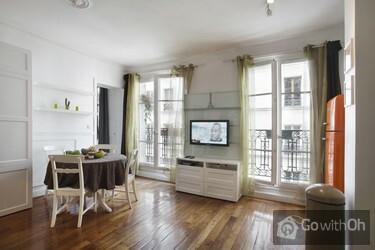 The apartment is v close to Abesses metro, in the heart of Monmartre, in a pretty and typical French rue. It is light, airy, spacious and modern. 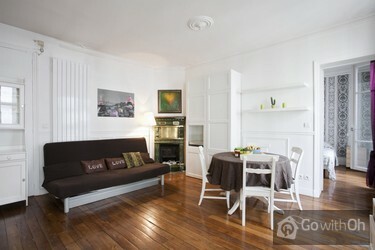 - a perfect base from which to visit Paris. 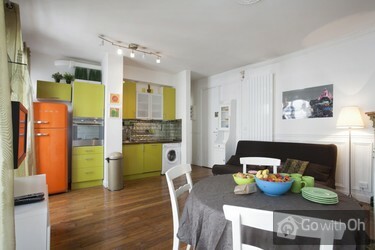 The apartment is clean and well appointed, everything works. The 'meet and greet' arrangements were clear ...and worked well, the man who settled us in, gave keys etc. Was very kind and efficient. Bottom line, we will return! The guarantee deposit was returned on our departure, no prbs at all. Wir haben den Aufenthalt sehr genossen, alles hat tip top geklappt, sehr zu empfehlen!